Mountain Goat Kids is pleased to announce we have officially received our approval as a 501c3 non-profit organization! This designation allows us to continue our mission of developing programs that will engage today’s youth in a non-competitive environment to encourage them to live a more active and healthy lifestyle. 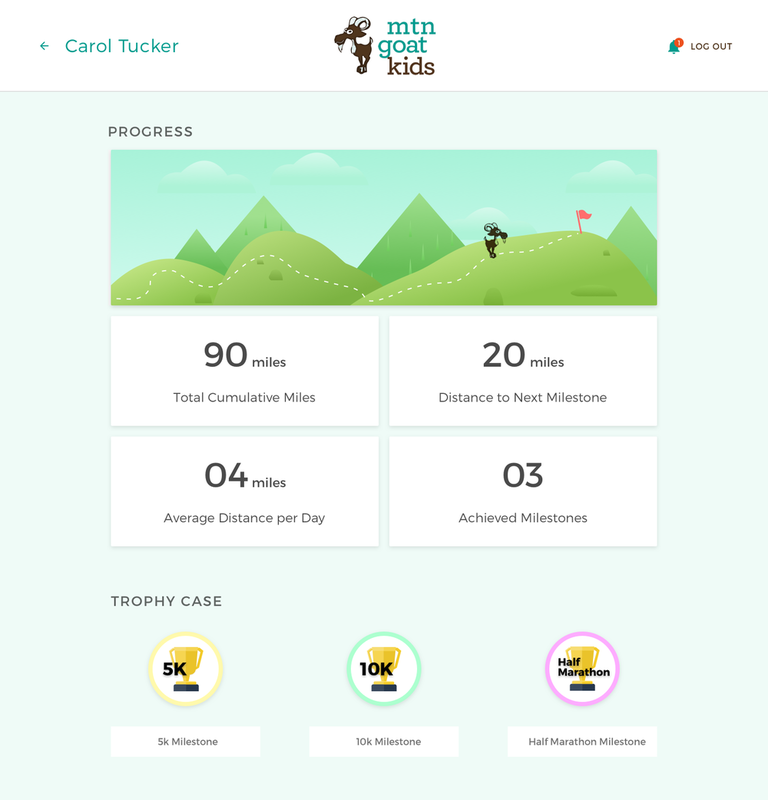 Mountain Goat Miles is an elementary school based running, fitness and wellness program that provides students and families an opportunity to participate in the fun by tracking their child’s progress through a web-based portal. With built in milestones (5K, 10K, half marathon and marathon) and virtual badges, the platform intuitively builds excitement about running, sets goals and establishes a sense of accomplishment when benchmarks are achieved. By simply running 10-15 min twice a week our program will instill an interest for students to be more active, build confidence and increase performance in the classroom. To learn more about the Mountain Goat Miles program, or how you can support our efforts, contact Heath Kirschner at heath@mtngoatkids.com. All donations are now tax deductible. Being active is essential to living a healthier lifestyle. Childhood obesity is a national epidemic with nearly 1 and 3 children (ages 2-19) in the United States overweight or obese. This puts them at risk for serious health problems. Fewer than half of today’s youth is getting the recommended 60 minutes of physical activity a day and recess is on hold in roughly 80% of the schools nation wide. Instead, children on average spend 7.5 hours a day watching TV or using electronics. that needs to be addressed and must be stopped.